Pressure is one of the largest dampeners of deer movement on a given property. The more hunting pressure there is, the more it affects the local deer herd. That translates to fewer opportunities to tag one of those deer you’ve been targeting all season. Luckily, there are ways to prevent hunting pressure. There are certain things you can do to limit it and keep the quality of hunting where you want it to be. Here are some of those things. Hang trail cameras up high and angle them downward so deer are less likely to see, smell or hear them. Only check trail cameras once per month during the early and late seasons, and once every 10 to 12 days leading into the rut. Or, better yet, only check cameras when you go in to hunt a stand. Check cameras from an ATV, bicycle or truck (when possible) to reduce ground scent. Hang all of your stands during the off-season and finish any pre-season prep weeks or months prior to the season so deer are less pressured. Use low-impact scouting methods to keep yourself of whitetails’ radars. It’s not quantity, but quality sits that matter. Hunt on days that produce the best conditions and odds of success. When time allows, start by hunting around the perimeters of a property and then press inward with each hunt until you kill your target deer or know you’re in the right location. Hunt when the wind is right, or just off, but not when it’s dead wrong. Take every scent precaution you can to help reduce your overall stench. Be mindful of entry and exit routes. Try not to spook deer as you go to and leave from stand locations, either. When possible, walk to your stand so that your ground scent follows the same line as your scent cone once in the tree. This reduces the chances of deer smelling you. Don’t overhunt stands. Rotate stand locations if the situation allows. Hunt the fringes of buck beds to see (but not spook) deer while hunting. Ease in very cautiously and slowly when you do so, though. Save your best spots until the times each respective location typically peaks during the season. Those who hunt deer, and especially mature deer, have to remember to limit pressure anytime they can. Those who are successful year in and year out are practically paranoid about pressuring deer. It’s that important. It’s that big of a factor. 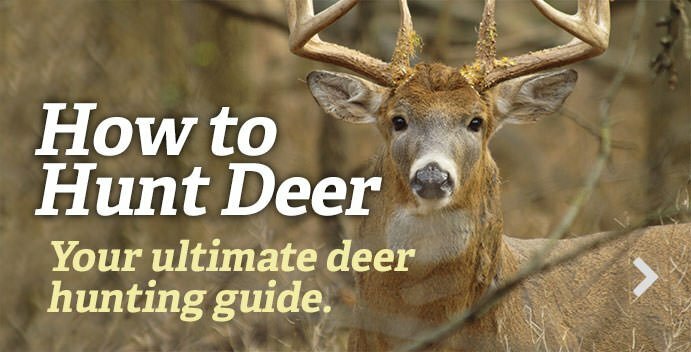 And if you fail to take it into consideration, your deer hunting will likely suffer for it.